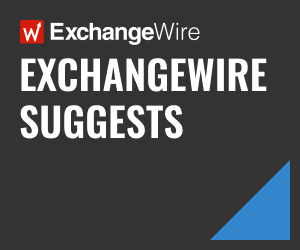 In this weekly segment, ExchangeWire sums up key industry updates on ad tech from around the European region – and in this edition: News UK Launches The Fifth; Mindshare Launches Audience-first Customer Decisioning Tool, DX; and Bidooh Signs New Partner in South Africa to Roll Out 500 Screens. 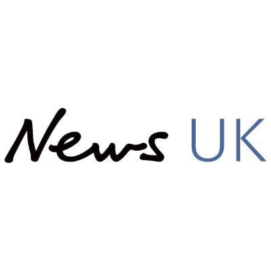 On Monday (18 March), News UK announced the launch of The Fifth, an independent full-service influencer marketing agency. It will tell authentic brand stories – working with emerging social talent as well as established mainstream voices – by aligning unique verified audience data with storytelling creativity, studio production, and trend forecasting. Oliver Lewis, managing director, The Fifth, comments: “Influencer marketing is one of the most exciting and fast-growing areas in brand communication. But the space is still in its infancy; and with any industry in rapid growth, challenges persist. Brands require more support identifying the right talent, building longer term partnerships, authenticating their background, proving meaningful ROI, and delivering authentic and diverse stories. Moving beyond reach and frequency, The Fifth is aiming to redefine the term ‘influencer’. Rather than segmenting by micro, macro, and celebrity categories, it has identified nine faces of influence to help brands connect with credible storytellers who resonate with their target audience and have a clearly defined tone and format. The nine faces of The Fifth are: The Artist, The Humourist, The Collective, The Enthusiast, The Tastemaker, The Journalist, The Expert, The Host, and The Cosmopolitan. As part of the agency’s mission to professionalise the space, The Fifth will work with talent to ensure brands have access to authenticated audience data, transparency of follower growth, and the standardisation of reporting. The Fifth will be powered by an exclusive partnership with CORQ – an independent intelligence platform that combines journalistic insight and analysis to offer brands a talent selection strategy that goes beyond technology and automation. The Fifth will also work with CORQ to discover, nurture, and invest in the social talent of tomorrow, including emerging talent within News UK’s portfolio of brands. Mindshare, part of WPP, has announced the launch of its audience-first customer decisioning tool, DX. By leveraging user experience principles in its approach, DX is able to reveal much more nuanced decision-making behaviours than many industry frameworks, unlocking new avenues of growth for clients. The launch is in response to emerging changes that Mindshare is seeing around audience decision making, with customers’ expectations of brands becoming increasingly challenging. This is as a result of audiences bringing in a wider range of previous experiences into their decision, as opposed to simply thinking within the limits of the category. In contrast to traditional, linear consumer journey frameworks, which take a brand-first approach, the DX solution puts audiences first, delivering insights that are more brand- and sector-agnostic. This enables clients to build a much more rigorous marketing strategy. The tool is powered by extensive quantitative customer research, which is conducted as soon as possible after the decision in question, and uses both qualitative data and passive data sources, such as social conversations and search behaviours, to help interpret the results. As well as conducting studies into 50 individual sectors, results are also analysed within a central decision database, enabling Mindshare’s research team to draw out cross-sector behavioural patterns that emerge for specific audience segments. DX is now available to all UK clients, with a multi-market roll-out anticipated to take place by the end of 2019. Bidooh, a real-time, real-audience, digital billboard advertising platform, announced on Wednesday (20 March) that it has signed a licensing agreement with Nisaar Ally, who will head up the newly formed Bidooh South Africa and become the Group’s exclusive partner in South Africa. Nisaar Ally, a serial entrepreneur and investor, plans to install Bidooh’s blockchain-based digital billboard platform on 500 screens across South Africa over a period of three years. This licensing agreement marks Bidooh’s first move into Africa and builds on the Group’s global strategy. The first screen in this agreement will go live after June 2019, with a rollout of 50 locations across South Africa into major retail outlets and shopping malls. South Africa is a growing economy with a large number of shopping malls, commercial centres, offices, and transport stations across the country – all of which are excellent locations for Bidooh’s digital billboards, which use facial analysis to provide targeted, real-time advertising. Installing the screens in malls and other large centres will be a fast and simple process, as Bidooh South Africa will be using existing screens or purchasing their own screens in high footfall locations and installing Bidooh’s software. Any screen can connect to Bidooh’s platform and become an advertising screen by simply plugging a Bidooh Box into the HDMI port. 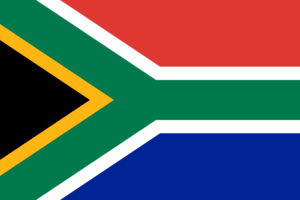 Signing this new partner in South Africa further extends Bidooh’s global partnership network. Bidooh has already signed contracts with DBDB Labs, a full-service media agency based in Seoul to target 10,000 screens in South Korea; Darko Ban, a partner operator in Czech Republic to target 2,000 screens across Bosnia and Herzegovina, Croatia, Czech Republic, and Slovakia; and Mihai Bulugea, a partner operator in Romania to target 1,000 screens across Romania. Bidooh’s screens are also functioning across several locations in the UK. The current live network of over 70 Bidooh screens have counted a passing footfall of 15.2 million with 44% falling between the ages of 25 and 34.